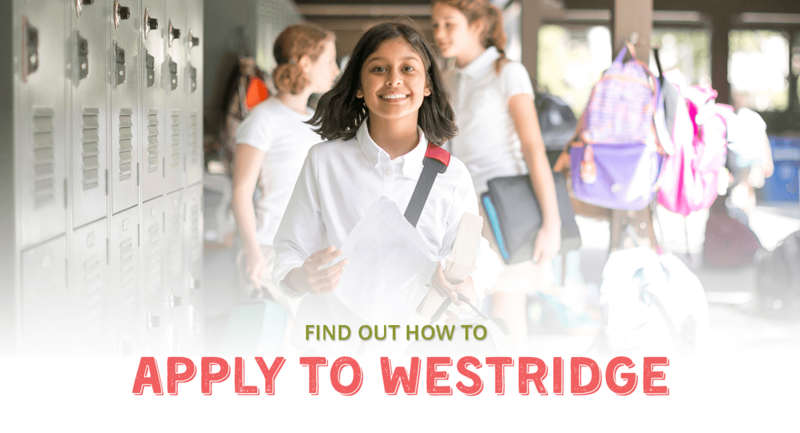 Westridge welcomes applications for girls entering grades 4-10. 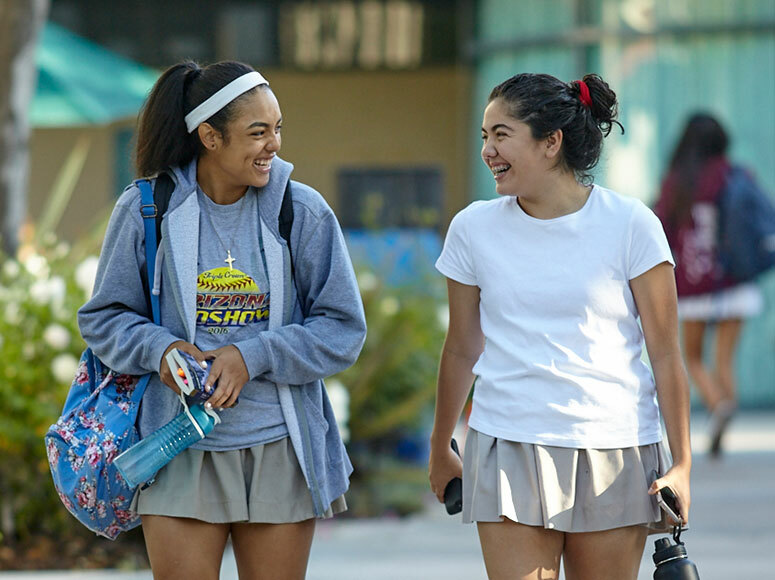 Admission entry points for the 2019-2020 school year will be in grades 4, 6, 7, and 9. Admission into non-entry grades is dependent upon available space. Please contact the admission office with questions about non-entry grades before applying. **Please note: The deadline to apply for fall 2019 has passed. To inquire about the possibility of submitting a late application, please call the Admission Office at 626.799.1053 x256. Families interested in applying to, visiting, or receiving additional information about Westridge will need to create a free Ravenna Hub account. Ravenna is the online system Westridge uses for collecting applicant information and communicating with families. Within Ravenna, you will be able to learn more about Westridge, read detailed application steps, download admission forms, and register for admission events and interviews. Each student applying to Westridge will need to complete the steps described below to be considered for admission. For detailed instructions by grade-level, please log in to your Ravenna account. To complete and submit your online application, create a free Ravenna account. The online application includes the $100 application fee, parent questionnaire, and student questionnaire. Application fee waivers may be requested by emailing admission@westridge.org. Waivers will be reserved for those whom the application fee represents a significant hardship. Westridge interviews both students and their parents from October-early February. Interviews may be scheduled online once an application is submitted. Time slots do fill up quickly, so we highly encourage you to apply early to ensure an interview time that works best for your family. Take the Independent School Entrance Exam (ISEE) no later than January 27, 2019. Please remember to register at least a month in advance through www.iseetest.org. Request an official score report be sent to Westridge using our school code of 052420. * If applying for financial aid, the application and all required financial documents are due by February 1, 2019. Please visit www.westridge.org/affording for more information about applying for financial aid.